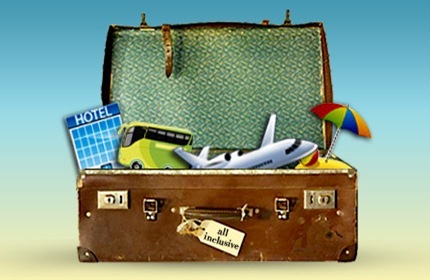 Whether planning a much-needed getaway, a wedding, honeymoon, or a family friendly vacation, people around the world are opting and budgeting for a world- class, all-inclusive vacation, which simply adds to the enjoyment of the destination and the flexibility of the budget. By planning an all-inclusive vacation to Cancun and the Riviera Maya ahead of time, travelers can rest easy knowing there won’t be any out-of-budget spending or surprises on such things as food, beverages, or even tips and taxes. In addition, many all-inclusive packages offer special rates for guests on car rentals, exclusive hotel services, and discounts on tours and attractions. All-inclusive resorts in Cancun and the Riviera Maya offer their guests a wide variety of daytime activities, dinner shows and entertainment, gourmet cuisine and snack foods, and kids’ activities at a set price, giving travelers a worry free and economical vacation without sacrificing comfort, leisure, and fun. Whether you are interested in the exciting nightlife of Cancun, an exploration of Mayan archeological sites, or simply relaxing and working on your tan, planning an all-inclusive Cancun vacation at a price that won’t break the bank is possible. We can accommodate your budget by offering several options for your Caribbean vacation. One of the added benefits of booking with us is your VIP all-inclusive access to our sister resorts that include 7 restaurants, 4 bars, transportation to affiliated resorts, airport shuttle services, and our best price guarantee. 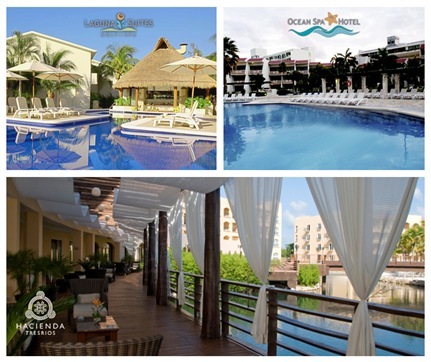 Whether you choose to say at the Ocean Spa Hotel with its view of the Caribbean Sea, a more intimate vacation at the Laguna Suites Golf + Spa Hotel, or an eco-friendly choice at Hacienda Tres Rios Resort, your vacation will take your breath away without financially drowning you. Enjoy the luxury of a Cancun vacation at an affordable price, and book your vacation now.